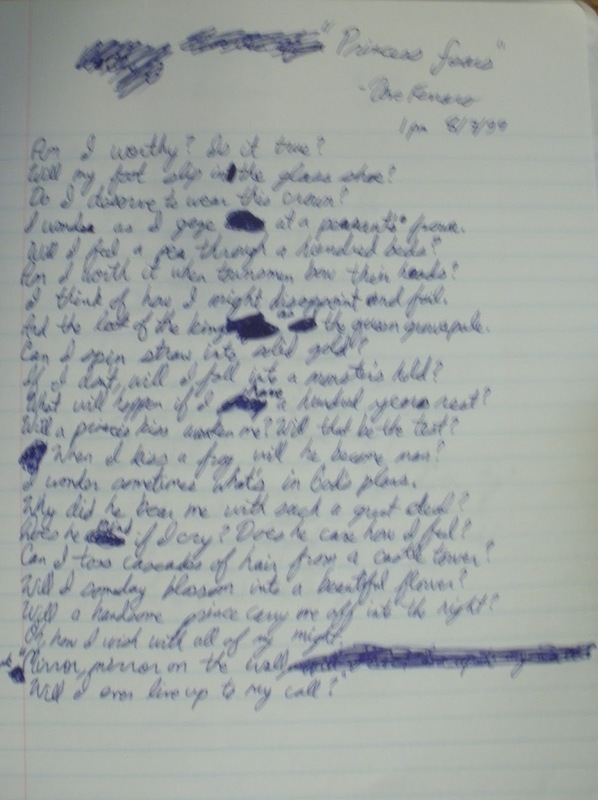 So, while I was going through some old boxes to unearth more teen novels, I came across some writing of mine. I kept early drafts of "Hunters of the Dark" and a lot of older books that I wrote in my early teens that are probably god-awful. 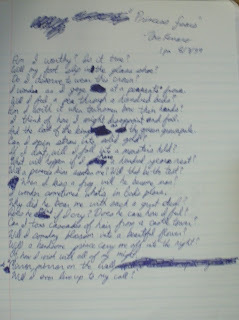 I came across a notebook of poems and I thought my readers would get a kick out of it if I posted one. It's dated 8/7/99 - I was nineteen, a little old to be writing about princesses, but there it is. And I wrote the time as 1PM, which I found cute. Anyways, here's a little taste of nineteen-year-old me. Am I worthy? Is it true? Will my foot slip in the glass shoe? Do I deserve to wear the crown? I wonder as I gaze at a peasant's frown. Will I feel a pea through a hundred beds? Am I worth it when townsmen bow their heads? I think of how I might disappoint and fail. And the look of the king as the queen grows pale. Can I spin straw into solid gold? If I don't, will I fall into a monster's hold? What will happen if I have a hundred years' rest? Will a prince's kiss awaken me? Will that be the test? When I kiss a frog, will he become man? I wonder sometimes what's in God's plans. Why did he bear me with such a great deal? Does he mind if I cry? Des he care how I feel? Can I toss cascades of hair from a castle tower? Will I someday blossom into a beautiful flower? Will a handsome prince carry me off into the night? Oh, how I wish with all of my might. Will I ever live up to my call?" 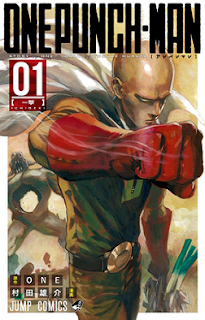 One-Punch Man is an action-packed manga from Viz, that turns the superhero genre on its head. The story follows Saitama, a scrawny bald kid, who lives in a world where supervillains attack constantly. He decided to fight back one day (just for fun) and practiced enough that with one punch, he can take out any villain he faces. This is quite a parody of superheroes. It's a book with tons of violence and destruction, yet it's always resolved very quickly, with one punch from our hero. It's always a sort of anti-climax, the story really being about the build-up. The villains are over-the-top - stupid muscle guys who make absurd mistakes, or over-sexualized women in ridiculous outfits with magical powers - but the variety of villains keeps things interesting for the most part. One of the problems with this title could have been its repetitiveness, but once we saw a few of these built-up scenes that ended abruptly, some secondary characters were introduced to keep things from becoming monotonous. And it was smart to give us those first few chapters with only our protagonist battling villains, as it perfectly established the premise and illustrated Saitama's abilities and the issues with them, with perhaps some ways to circumvent them later for interesting stories. The best thing about this book is the humor, hands down. This title is so aggressively for boys that it kind of turned me off a bit, but then there were these solid, perfectly-placed scenes of humor that would completely take me aback and make me smirk. Of course, the humor is kind of built into a title like this. Saitama ends his fights with one punch. It's frustrating for him. He can't find a worthy opponent. He's desperately looking for someone he can really duke it out with, at the same time as he goes numb to it all from boredom. It's kind of the perfect comment on the absurdity of superheroes, and at the same time has this wit about it that's really clever and written into the story masterfully, inserted into key moments. This book almost seems too simple, but it is deceptively clever. The art is balanced nicely between fast-paced panels flowing quickly into one another, with detailed backgrounds and mayhem, to panels that pull back and slow down to give us a closer look at the characters and inject that humor that is so necessary to a title such as this. One-Punch Man is genuinely funny, offers all of the gratuitous violence and destruction anyone could ask for, and is paced masterfully. Everyone will find something to appreciate in a book like this. In the late-eighties to mid-nineties when teen thrillers were thriving, the internet was just getting its feet wet, so there wasn't a lot of information to be found on-line about the books coming out around this time. I didn't have a really reliable source to find out when new books were coming out from authors I enjoyed, which is a weird concept given how everything is at people's fingertips today. I asked bookshop clerks about books often, and would really just sort of rely on them to stock the books I loved on their shelves. Janice Harrell had quite a career before she delved into teen horror, although she always seemed to have an affinity with teen characters. Her first book seems to be part of Pocket Books' romance series line First Love From Silhouette, featuring teenagers' first love. The novel, Puppy Love, was #67 in the line, and was published on November 1st, 1983. She would continue to write nine more novels for First Love From Silhouette over the next four years. Harrell also wrote books for the Two by Two series during this time, including One Special Summer and Secret Hearts, for Warner Books. Continuing her foray into romance, Harrell began to work with Harlequin in 1987, writing for their Crosswinds Keepsake line, beginning with the second book in the series, Starring Susy. She wrote a total of nine books for Crosswinds Keepsake, as well as the novel Stu's Song for their Harlequin Crosswinds line. In December 1989, Janice Harrell wrote her first novel just for young adults, Wild Times at West Mount High for Simon Pulse, in the romance genre. She followed it up the next year with Andie and the Boys, which would spawn two sequels, Dooley Mackenzie is Totally Weird and Brace Yourself, P.J. Harrell would continue to write romance over the next year, for adult readers, but she would also publish her first thriller for young adults, Flashpoint, a murder mystery from Simon Pulse. Then, after a brief foray into middle grade fiction with books like Tiffany, the Disaster, she would devote her attention on young adult novels for the remainder of her career. Her next several books would be teen thrillers/mysteries, published by a variety of publishers, including Simon Pulse (The Murder Game), Harper Collins (Dead Girls Can't Scream), and Avon Flare (Fatal Magic). She would also release The Darkroom as part of Harper Collins' UK imprint Lions, through their Nightmare line, which was meant to compete with other successful teen thriller lines such as Point Horror. She would be in the company of such YA greats as L.J. Smith, Nicole Davidson, T.S. Rue, Nicholas Adams and Bebe Faas Rice. Scholastic would publish a series by Janice Harrell in 1994, beginning with Temptation. One book would be published every month. The series, Secret Diaries, would end up being a trilogy incorporating strong elements of romance, suspense and mystery between a group of teenagers. 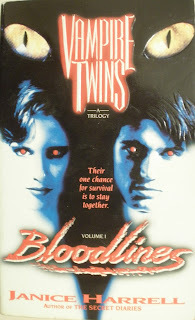 Harrell would turn to the supernatural for her next releases, beginning with Vampire Twins, following immortal brother and sister Paul and Anne Marie Montclair in an epic horror story that was originally advertised as a trilogy, but would end up traversing four novels, probably due to its success. The series would be published through Harper Collins, and through the publisher's Nightmare line in the UK. 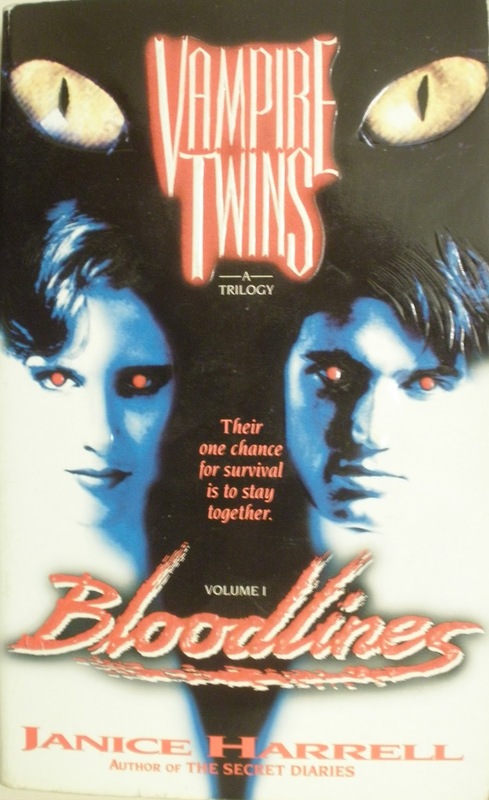 Yes, there were other supernatural books out there at this time, but the teen market was still dominated by teen thrillers, so these books definitely stood out on the shelves. Her next books would be a two-volume series, also about vampires, with a heavier focus on romance. 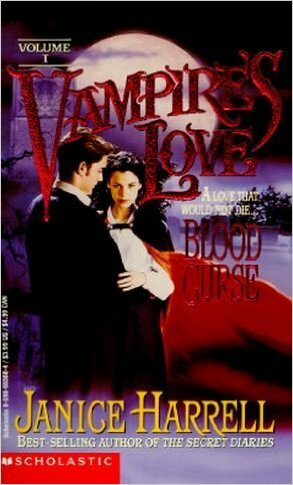 Vampire's Love would be published by Scholastic through their popular Point Horror line, a direct competitor of the Nightmare line she had previously published through with Harper Collins. 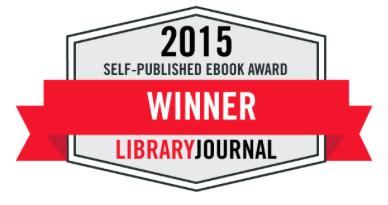 Point Horror was noteworthy for not only its popularity, but for launching YA giant R.L. Stine's career. Caroline B. Cooney, Richie Tankersley Cusick, Carol Ellis, Diane Hoh and Barbara Steiner are just a few of the big names attached to Point Horror. 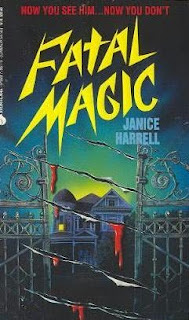 Janice Harrell is the only author to publish books through both Nightmare and Point Horror. Janice Harrell would be best known for her two vampire series, but she would go on to publish a pair of thrillers to round out her career, Twin Sisters in 1996, and its sequel Twin Terror in 1998. All YA books at this time were sold in mass market paperback format, a cheap way to mass produce books for readers. It's the same type of smaller paperback format that many mysteries and romance novels are published in today. They're pretty disposable, and if unsold, rather than ship books back to publishers, bookstores strip the books of their front covers and mail those back for credit, as proof that it hasn't sold. It's cheaper to do it this way than pay for shipping heavy books. In the front of these books, there's usually a warning about books with stripped covers in an attempt to deter reselling titles that hadn't actually been paid for by consumers. 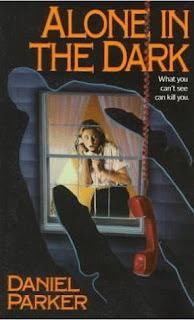 Daniel Parker began his career in teen thrillers by helping to launch Harper Collins' Baby-Sitter's Nightmares series with his novel Alone in the Dark, on June 1st, 1995. The series was in an anthology format, and each book would have a different author and would not connect with one another in any way. The series would last only four volumes, with established authors such as M.C. Sumner contributing books. It was Daniel Parker's next project that sold me and made me a fan. The Dark Hearts trilogy from 1996 delved into a fully-realized world of voodoo lore in the heart of New Orleans. It was atmospheric and meticulously researched, bringing creatures such as loup-garous into the fold of dark magic. I was blown away by this series, which left quite an impression on me. There were also a few glossary of terms in the back of the books to define and explain voodoo terms used throughout the series, as well as to translate Creole chants and sayings. 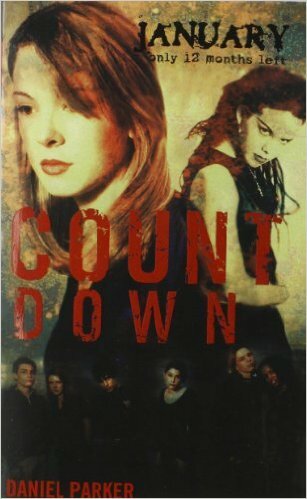 The Countdown series is what most people probably remember Daniel Parker for. The series followed a group of teens in a post-apocalyptic world, where the adults have all died from a plague. It would follow a group of characters, drawing on biblical mythology and introducing supernatural/demonic entities such as Lilith into the story. The books were pretty short (clocking in at about 130 pages each), but it was pretty neat that this series came out every month for a full year, until the conclusion, an epic confrontation that it had been leading toward. The first book in the series was offered at an introductory price of $1.99, and the entire series advertised a contest for one reader to win $2,000 for the year 2000, to help generate interest, which it certainly did. 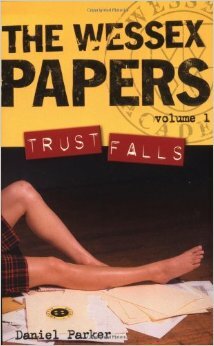 Parker would release a novel in the Sweet Sixteen teen romance series (Trent) in 2000 before releasing the first book in The Wessex Papers series in 2002. About conspiracies and blackmail at a college campus, the series would go on to win the 2003 Edgar Allen Poe Award for Young Adult literature. Beginning in 2004, Daniel Parker co-wrote a series of young adult mysteries with Lee Miller called Watching Alice. The series would run for four books before Daniel Parker's run with young adult books would come to an end. Interestingly enough, Daniel Parker went on to publish books under another name, Daniel Ehrenhaft (which his Daniel Parker books had previously been copyrighted under). Daniel Ehrenhaft's books go back to nearly the beginning of his career as Daniel Parker, when he co-write the thirteenth book in the Bone Chillers young readers series with Betsy Haynes, The Thing Under My Bed, in 1996. He wrote several other books for young readers at about the time he was winding down his writing career as Daniel Parker and for years after, including The Last Dog on Earth (2004), 10 Things To Do Before I Die (2006) and That's Life, Samara Brooks (2010). He would also continue to write YA under the Ehrenhaft name beginning in 2004: Tell It To Naomi, Drawing a Blank, or How I Tried To Solve a Mystery, End a feud, and Land the Girl of My Dreams, The Life After, Dirty Laundry and Friend Is Not a Verb.